Ginoris López-Lay, executive vice president and director of FirstBank’s strategic management. Two of the island’s major banks, Banco Popular and FirstBank, stepped up Tuesday to help consumers during the hurricane-invoked emergency, offering three-month moratoriums a number of payments, including on mortgages and credit cards. Banco Popular clients in Puerto Rico and the U.S. Virgin Islands will be exempted from late payment fees on personal, auto and mortgage loans, as well as credit cards from Sept. 18 to Dec. 31. Furthermore, the bank will suspend all collections, including mortgage foreclosures, during that time. Banco Popular will also offer additional alternative to support its customers, providing a 90-day automatic moratorium on credit cards, personal loans and auto, subject to certain terms and conditions. In the case of mortgage customers whose loans were less than 90 days late as of Sept. 18, 2017, will be given the flexibility to defer the next three monthly payments. At the end of the period, in January 2018, if the client cannot update their loan, they will have the alternative of a payment plan or they may be evaluated for other options according to their type of loan and circumstances at that time, the bank said. “Any customer who is willing and able to continue making payments as established may do so through the various available channels, including the open branches and Mi Banco,” Popular said in a statement. 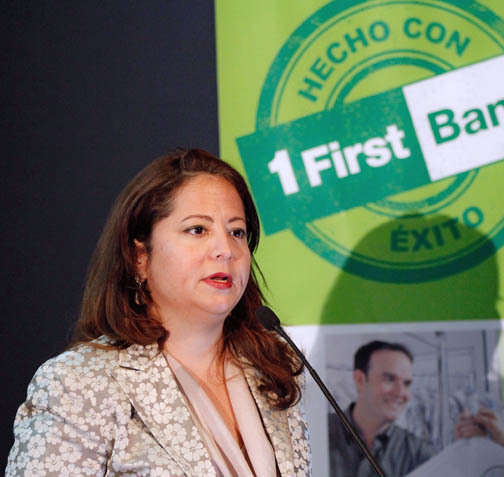 Meanwhile, Ginoris López-Lay, executive vice president and director of FirstBank’s strategic management, confirmed that it will be offering similar options to its customers in both U.S. territories battered by recent storms. “After [Hurricane] María, we established a plan to help auto loan, loan leasing, personal loans and credit card customers by which they will not have to make their next three payments,” she said. “This plan that offers a respite to customers in Puerto Rico, was also implemented in the U.S. Virgin Islands after the passage of Hurricane Irma,” Lopez-Lay said. Attempts to reach several of the other banks operating in Puerto Rico were unsuccessful Tuesday, as a result of communications interruptions on the island. However, the relief offers the two banks confirmed on Tuesday are in line with what stateside banks offered to customers in South Florida impacted by Hurricane Irma, according to a report. Bank of America, Regions, Iberia, Wells Fargo and Suncoast Credit Union all offered some sort of mitigation plan. Hey Buddy!, I found this information for you: "Local banks give clients 3-month reprieve on payments". Here is the website link: https://newsismybusiness.com/clients-reprieve-payments/. Thank you.